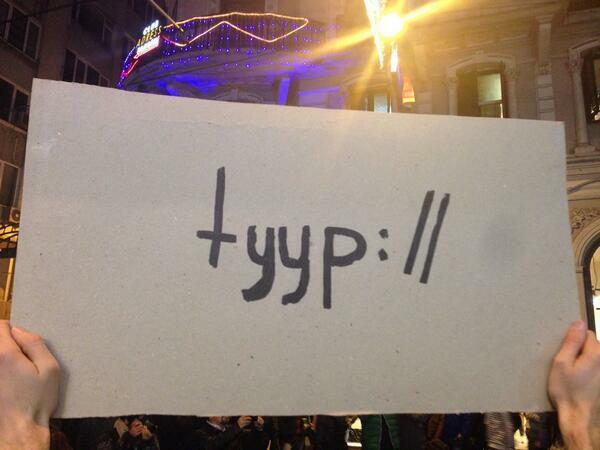 2014 started with a new bill proposal against free speech and internet freedom in Turkey. Down below, you can see what this new regulations brings if it passes. This list copied from Pirate Party Turkey’s blog post, which you can read here. New methods of blocking “harmful” content will be implemented. Rather than censoring the entire website, these methods will target the direct URL of infringing sites. Content that “denigrates particular sections of the society on account of social status, race, religion, sect, gender, region of origin” will be treated as a crime that warrants censorship. The Internet Service Providers will be required to keep track of personal data and conduct sweeping surveillance on behalf of the government. The new blocking methods will make it impossible to access the censored content by merely changing DNS settings. The changes bear the possibility to outlaw any blogs in Turkey other than food, fashion, and travel blogs. Those that include political commentary in particular will be suspect. New regulations will harm the Internet Service Providers who will, then, likely move their operations outside of Turkey. Social media sites that our Prime Minister has characterized as “Menace called Twitter” and “Ugly technology Facebook” will be censored much easier. Citizen journalism and independent media will be hit hardest. If you’re a journalist interested about this topic and detailed Turkish material works for you, you can see the Alternative Informatics Association’s declaration about this. Our friends translating this to English right now and I’ll link the translation here too. UPDATE 1: Alternative Informatics Association’s declaration about this bill is translated. You can read and share it from here. UPDATE 2: There’s another English article published about this topic on DW. I gave opinions to this article and you can read it here. Also activists planning an march against censorship on Jan. 18th. There isn’t so much detail on this topic but I’ll write here if anything happens. Also yesterday night, Vimeo.com has blocked in Turkey with court order. We don’t know main reason but some rumors says this is about an video of PM Erdoğan’s family. I’ll update this topic too. UPDATE 3: Another English article published at Wall Street Journal’s Europe Blogs, which you can read it here. Also Pirate Party Germany published a declaration about this bill, you can see it here (English and German).